In addition to being a librarian, Lisa is a wife, mother, and Phillies fan, not necessarily in that order, especially during baseball season. You may find her blogging at Shelf-employed (http://shelf-employed.blogspot.com). Great news from Great Websites! 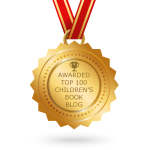 Great news from Great Websites for Kids Committee We’ve got new winners and a new name! A quick readers’ advisory quiz! A patron asks you for the perfect book to read to her preschooler who throws temper tantrums and refuses to mind. Add your first thought to the comments and then read more to see two very different suggestions! Nursery rhymes – “Wee Willie Winkie,” “Hey Diddle Diddle, “Little Boy Blue” We include these in storytime without hesitation. They’re fun, they’re memorable, and they promote early literacy skills. But what do we do when they’re gruesome? If you’re one of the many people who couldn’t make #alaac16, don’t worry. 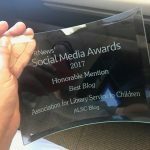 ALSC is still working for you. Here’s a glimpse of today’s Leadership meeting.